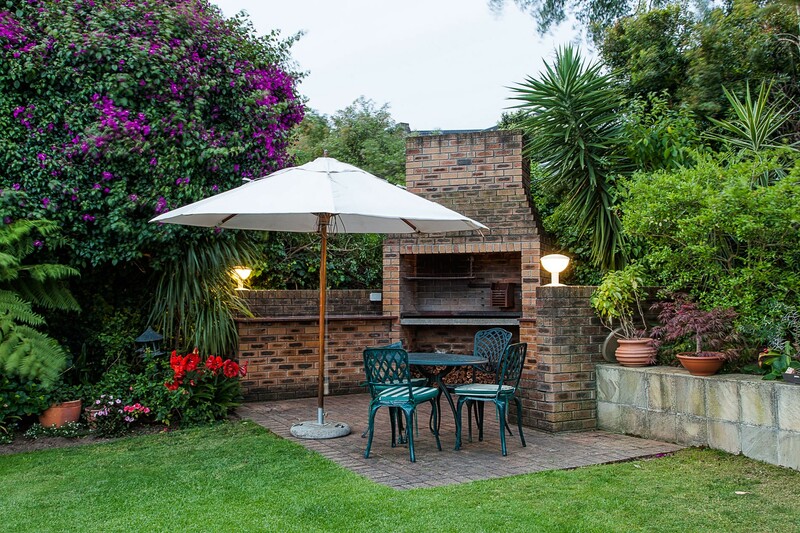 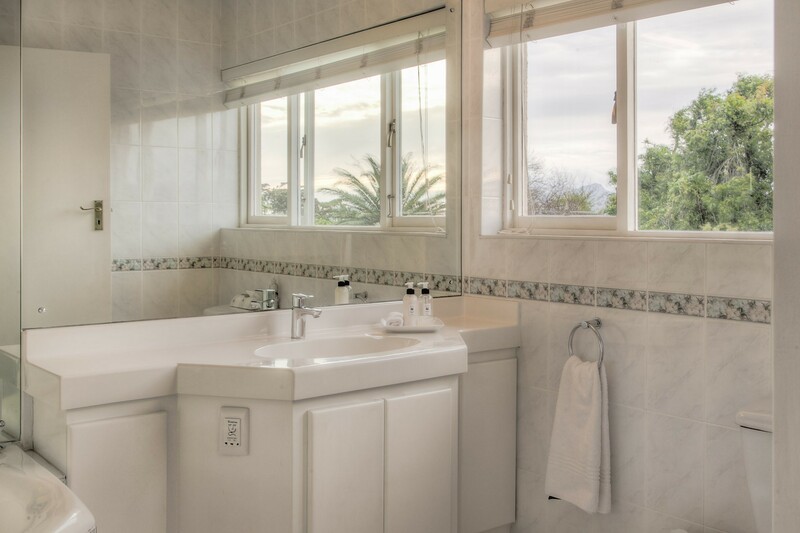 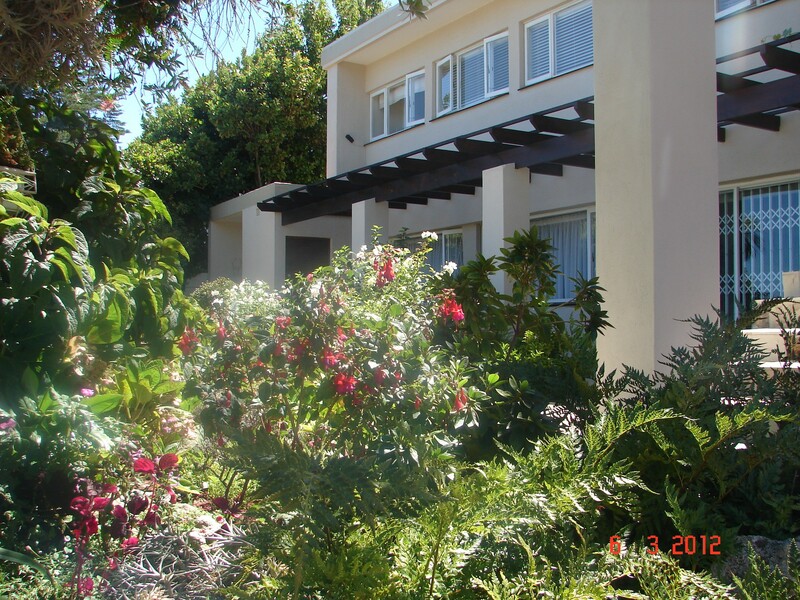 Affordable, luxury, Self-catering/ Bed and Breakfast Accommodation in a quiet, upmarket suburb of Somerset West with Sea Views, beautiful gardens and a large swimming pool. 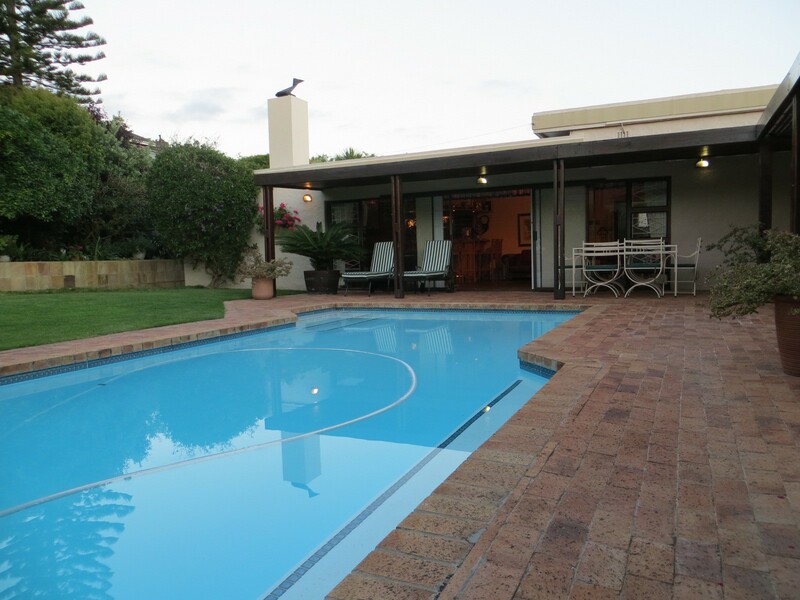 On the slopes of the Helderberg Mountain with beautiful sea and mountain views over False Bay lies Majorca House. 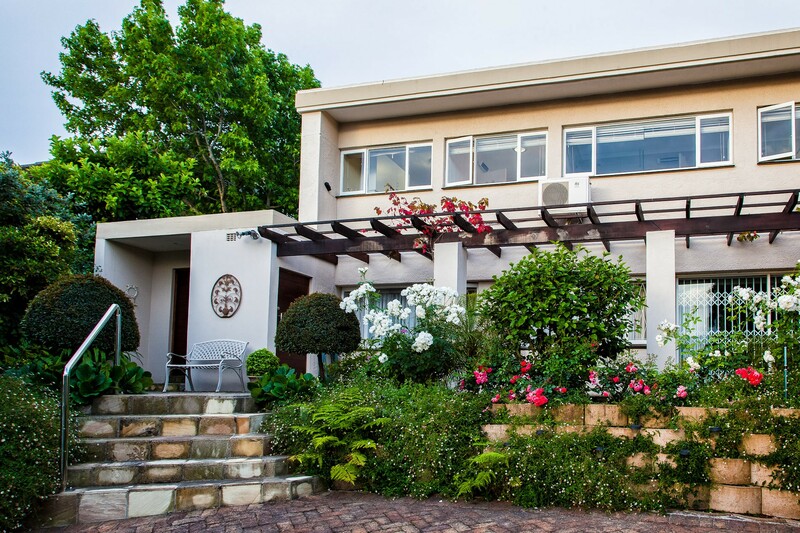 Only 20 minutes from Cape Town International Airport, in the heart of the winelands, this luxury guesthouse comprises of 3 self-catering apartments. Visitors have full use of the large pool, the braai/barbeque area and the pool lounge with an honesty bar. 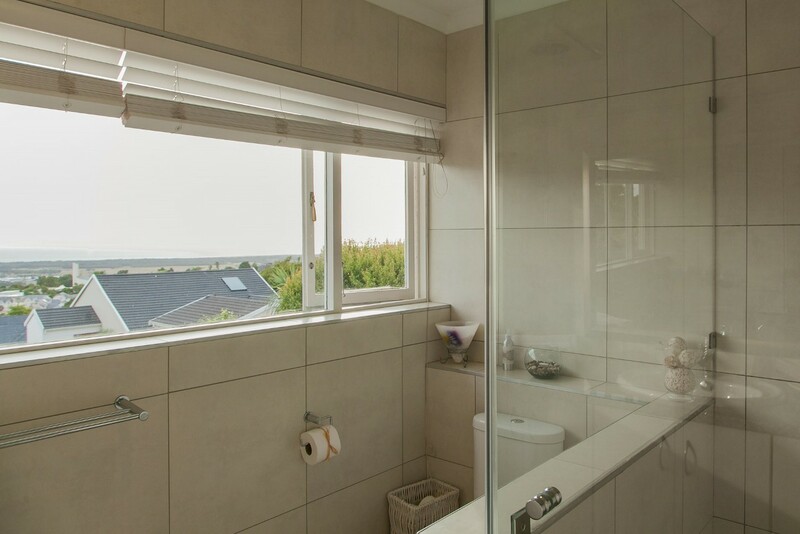 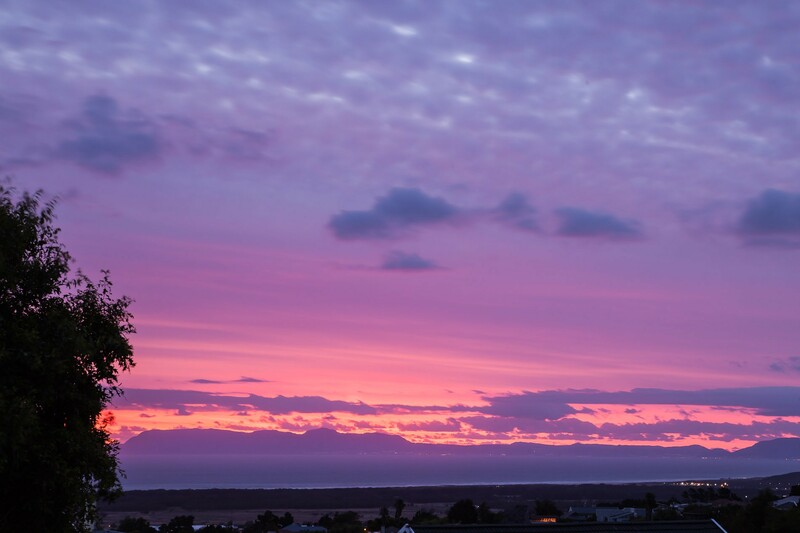 Our location offers the advantage of being in close proximity to the tourist hotspots of the area, pristine golf courses, white sandy beaches, the Cape winelands and popular towns including Cape Town, Stellenbosch, Franschoek and Hermanus. 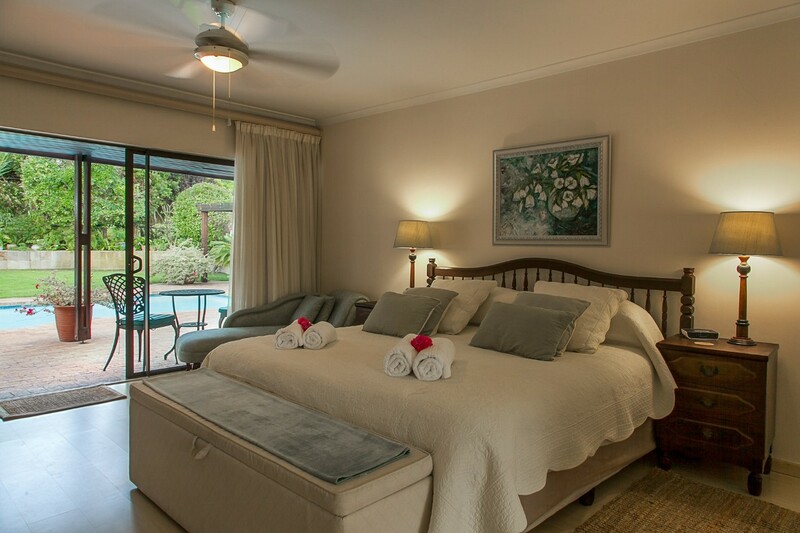 The 3 luxury en-suite apartments have secure off street parking behind electronic gates with a separate guest entrance from the main house. 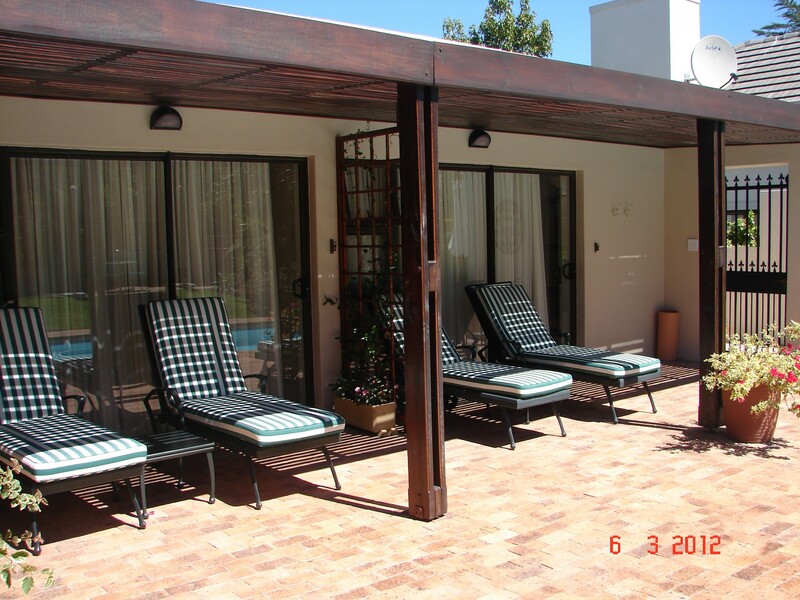 Each has large sliding doors leading out to the patio, swimming pool and garden. 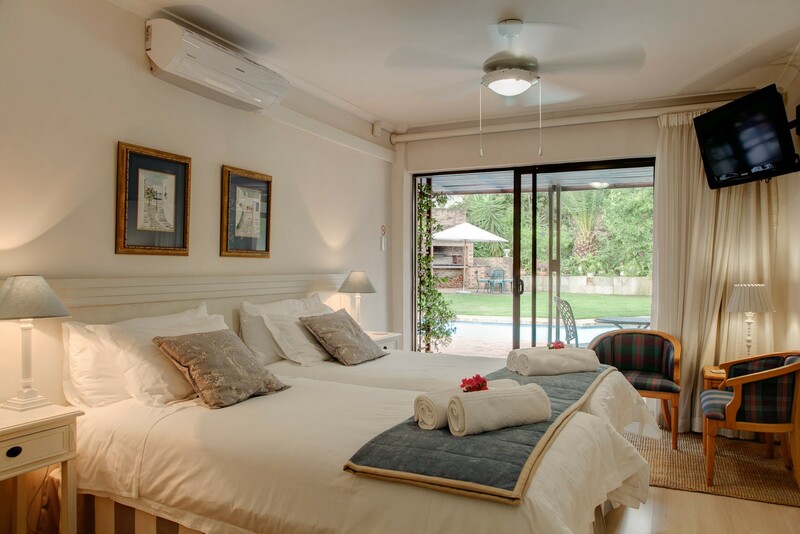 All have airconditioners, king size or twin extra length beds with luxurious percale linen for your comfort. 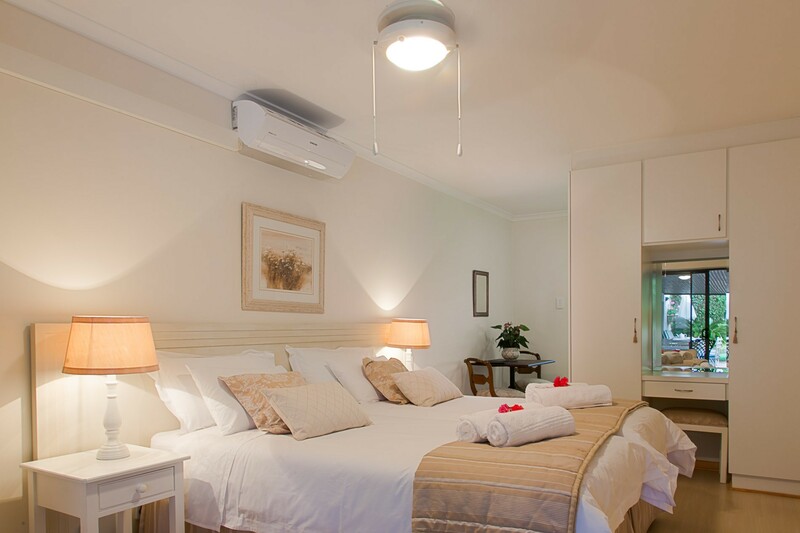 Accommodation is available on a Bed and Breakfast or self-catering basis with the fully equiped kitchenettes being suitable for light self catering. Breakfasts are served inside the main house or westher permitting outside around the pool. 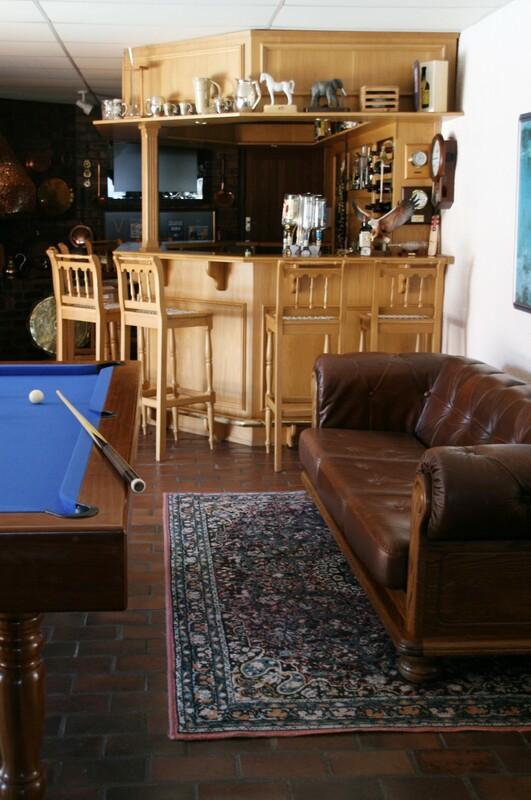 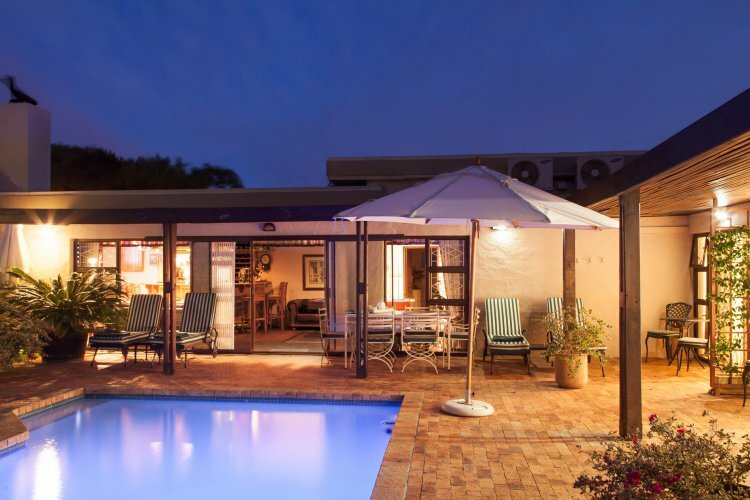 Majorca House provides all the luxuries you would expect from an exclusive and stylish establishment: airconditioning, satellite TV channels, free wi-fi, rooms serviced daily, braai facilities, hospitality bar and swimming pool with sunloungers and pool towels.